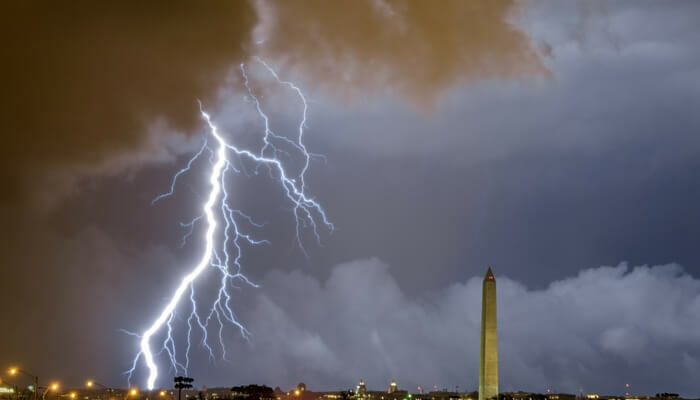 Washington DC Data Center: Which Offers the Best Customer Support? Studies have found that 93% of businesses that lose access to their data assets for 10 days or more file bankruptcy within 12 months. Making the decision to outsource your hosting to a data center is a leap of trust for many IT managers, all in hopes of ensuring better business continuity and reliability. From smart cooling controls to facility location, it pays to thoroughly evaluate the data center of your choice. 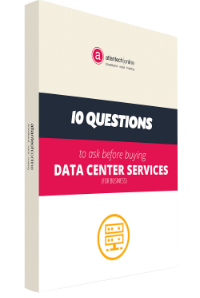 While all data center providers may appear equal, asking the right questions is key to finding a data center provider who can deliver your data center needs. Examining the quality of customer support available is one of these. Though having the technological know-how to meet your needs is important, customer service must also be an important consideration in selecting a provider for data center services, such as colocation or hosting. Customer service always matters, but it's especially critical when poor service could stand between you and data access in case of emergency. Stuck in a midnight massacre? 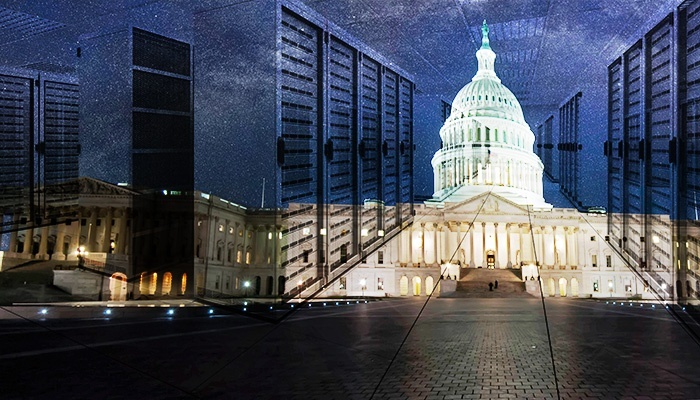 If you're considering a data center in the Washington D.C. Metro, reviewing local vendors' support records can ensure satisfaction after you've signed the contract. In this blog post, we'll review what real-life customers have to say about the support offered by seven DMV data center providers. What Does Great Data Center Customer Support Look Like? In order to have a satisfactory and productive relationship with your data center provider, your organization needs more than just redundancy and reliability (though these factors are crucial). You need peace of mind and a positive relationship. Culture: Does the organization base its business model on providing service that exceeds expectations, even if it's not the easiest or cheapest way to serve their customers? Availability: Does it offer 24/7/365 customer support, including for billing? If you call, is your call handled by a live representative or a voicemail inbox? Variety: Does the vendor offer multiple channels, including email, ticketing, and online self-service tools? Redundancy: Redundant structures in data centers aren't the same as customer service, but they have a real impact on the customer experience. Seek out data center providers with exceptional commitments to redundancy and reliability, including 24/7 on-site staffing and SLAs. Equinix is a global data center provider that offers services in 40 countries worldwide. Their locations in the Washington D.C. metro area are located to the west of the metro area, just outside the Beltway in Ashburn, Virginia. In addition to data centers and colocation, Equinix offers some complimentary services, which include consulting services and infrastructure design. Equinix's phone support includes dedicated lines for sales and customer service/support. Bytegrid specializes in "compliant hosting" for clients in four industries. Their Silver Spring location is outside the Beltway in Suburban Maryland. Bytegrid's data center and colocation services are specifically targeted for the compliance needs of customers in life sciences, health IT, government, and financial industries. Bytegrid's support options include online chat for prospective customers and phone support. AiNET offers data center services to clients in healthcare, government, and other industries. Their Washington D.C. area location is located a slight distance away from the city in Beltsville, Maryland. In the future, this organization plans to expand their service offerings beyond data center and colocation to include fiber optic internet connectivity. According to the provider's website, prospective and existing customers can reach the provider by email, webform, or phone. Tierpoint is a nationwide provider of cloud and colocation services. The closest location offered to the D.C. metro area is in Baltimore, Maryland. Additional services offered by this organization include security, hosting, and business continuity planning. Tierpoint manages their customer support on a per-location basis, with dedicated phone lines for customers in each state or major geographic area. zColo has been acquired by the Zayo group, who offer cloud services in 53 locations throughout the U.S. and Europe. The Washington D.C. location is located in the downtown portion of the metro area and is still known as "zColo." Zayo's other services include some fiber connectivity and infrastructure design. In addition to live chat, Zayo customers can reach phone representatives 24/7. Level 3 is described as a "global network company," who specializes in providing data center and security services to niche industries. Their D.C. data center location is in downtown on L street. Industries served by Level 3 include government, healthcare, media, and finance. According to the provider's website, existing customers can access support via email or dedicated phone lines. Here's the truth: We are biased towards our own company. While the providers on this list are all great, we recommend you evaluate them all and go with the one that gives you the most peace of mind. We think that will be us. Founded in Maryland in 1995, Atlantech Online is a leading provider of data center, colocation, hosted voice, and other unified business communications services. The Washington D.C. data center location is convenient, local, and nearby for individuals who live and work in Suburban Maryland, D.C., and inside the Beltway in Northern VA. In addition to convenience, Atlantech offers a full array of communications services to organizations who are hoping to enhance their communications with hosting, fiber-optic internet connectivity, cabling, and more. Atlantech Online customers report quick and ready resolution via phone call, including for after-hours and weekend requests that require special accommodation. Other clients report that the team has gone above-and-beyond to guarantee satisfaction, including their willingness to meet one client's request to double bandwidth within several hours of time. When it comes to selecting a data center or colocation provider, quality and reliability are absolutely crucial. However, customer service is nearly as important. If your business has last-minute needs, it's critical to be able to call and achieve quick resolution. Regardless of your business requirements, filtering local providers to determine which company offers the highest service commitment can ensure better satisfaction. Atlantech is proud to offer both high-quality business communication services and best-of-class customer support for businesses in the greater D.C. metro area. For more information on our 24/7/365 expert service availability and channels, we recommend What Does Fantastic Support Mean for Atlantech Customers? System failures can happen anytime. Recent industry reports reveal that an unplanned data center downtime costsUS$7,900 per minute. Cut down on these outage costs with on-site support who can do emergency reboots and respond quickly to issues. While taking measures to prevent unplanned outages is a priority, quick response times by on-site support is equally valuable. 2. Real-time monitoring for better performance management. Making sense of the data coming in is no walk in the park. It's not uncommon to be short of staff who will look after your monitoring and management platforms. To help your data center crew, go for a provider who augments the efforts of your IT staff without busting the budget through 24-7 support. Be on the lookout for data centers with standardized documentation in their support processes, including disaster recovery, maintenance, and change management. Additionally, you get a clearer picture of the entire infrastructure with real-time monitoring. As a result, performance and operational baselines are established, allowing for quick problem identification and resolution. 3. Data center management calls for specialization. The specialized knowledge and experience of the support staff will have a huge impact on your data center operations -- from power distribution to security to hardware management. Consider working with a provider who has the most experienced technicians and engineers from various domains involved in data center management. Having a cooling expert around is way too different than a staff member who wears multiple hats. In a similar vein, it also pays to select a provider whose support team can assist you in adding extra space and maintaining network efficiency once your enterprise grows. 4. Help with network peaks and valleys. Industries have their own network peak and valleys. Take banking and finance for example. Financial organizations will often experience a spike in network usage during tax season. Picture what happens when there's not enough in-house support to handle the surge in IT activity. Although some data centers have traditionally employed the over-provisioning approach as a way to anticipate network surges, it could also result in thousands of dollars wasted on unused space, power, and cooling. It's wise to look for a data center provider who gives you the option to outsource support when you truly need one. 5. Compliance with state boards and regulatory laws. Beyond meeting security standards such as protection against DDos attacks, you need to work with a data center whose support team understands the unique regulatory requirements of your industry. There's HIPAA for health care industries and FISMA for financial institutions. This component is critical for industries whose regulatory boards tend to frequently change their stringent requirements. You've heard it before, but we're going to say it again: chance favors the prepared. At first glance, picking a data center provider who merely provides for your space and networking requirements may be the best decision budget-wise. However, it's important to note that paying extra for on-site support might be the best decision you'll make in the long run. For flexible solutions and trusted advice on data centers, talk to one of Atlantech's data center experts today.